Lovely cream-colored 4" wide flowers are highly fragrant. Broad ruffled petals have a cranberry-purple eye and emerald green throat, color won't fade in the sun. 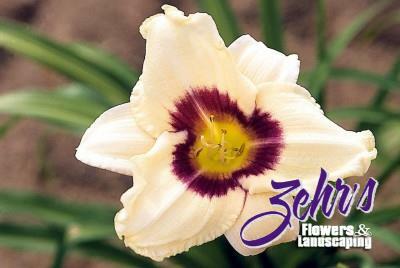 Blooms in early to mid summer, and can rebloom later in the season. A vigorous grower with green foliage.